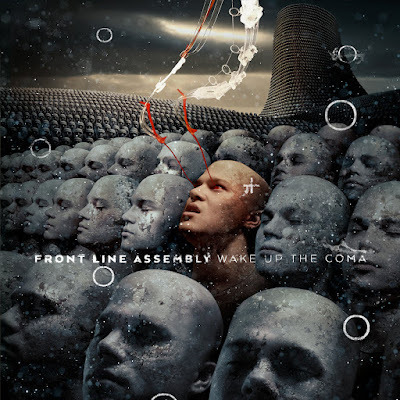 Front Line Assembly return with a new studio album titled Wake Up The Coma. The 12 track record promises to be an interesting listen -- it features a cover of Falco's classic "Rock Me Amadeus" plus includes guests Chris Connelly, Robert Görl, and Jimmy Urine. So far FLA haven't unleashed any music from the record, but they've revealed the cover art (posted above) and the tracklisting. Wake Up The Coma will be released on February 8th and is available to pre-order now through Metropolis Records on CD and limited edition double vinyl, or order here through Bandcamp.